Kelty Pawnee 3300 Backpack Offers Durability and Comfort! Take a look at the Kelty Pawnee 3300 backpack. 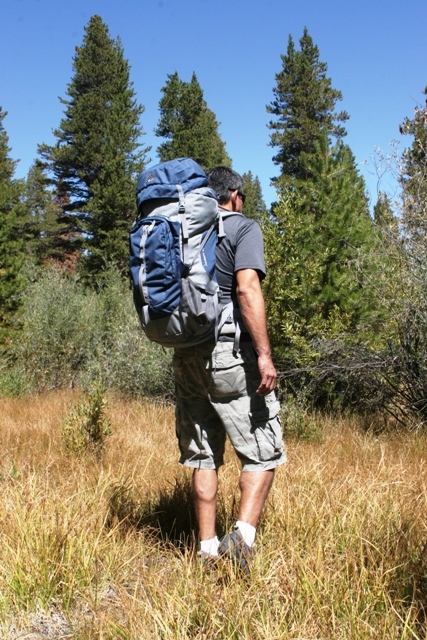 It is an ideal pack for hikers and backpackers looking for the most bang for their buck ($129.00). The Pawnee 3300 is lightweight, sturdy, comfortable, and versatile. 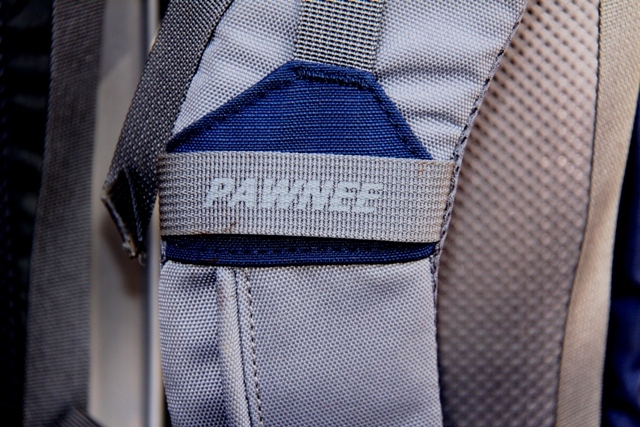 Pawnee gets high marks from overnight hikers far and wide, and with good reason. It is an ideal pack for every type of application, including members of Search and Rescue Teams, which this particular pack is used for. Pawnee 3300 is an internal frame pack which sports an aluminum stay and HDPE (high density polyethylene) frame sheet for support. There is a removable waist belt which fits waist sizes ranging 18.5”-21+” for additional support and stability while hiking. The backing, straps, and waist belt are well padded with breathable mesh. Kelty’s Pawnee 3300 features three storage areas: one main central compartment, one front pocket, and a top loading compartment. 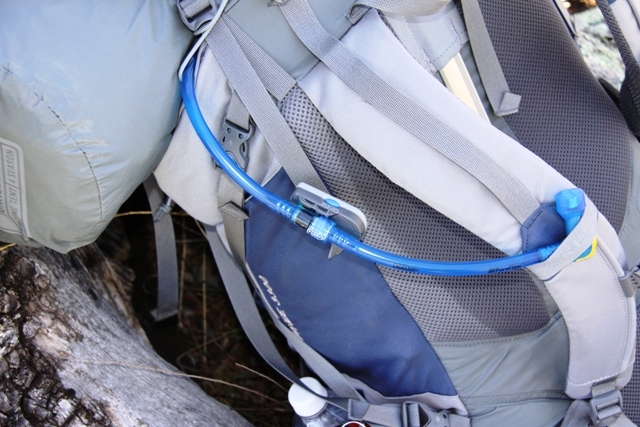 There is an internal sleeve in the main compartment which allows a hydration bladder (sold separately) to be stored within. The Pawnee comes in two colors: Nite Sky (dark blue and gray) and Russet (red/orange and gray). The Pawnee 3300 is also an ideal pack for beginning backpackers as it is versatile, durable, and wallet-friendly. Looking for a new pack can be quite a daunting experience for any first-time buyer as there are many different models available. Many packs feature the latest innovations and a labyrinth of pockets and compartments. 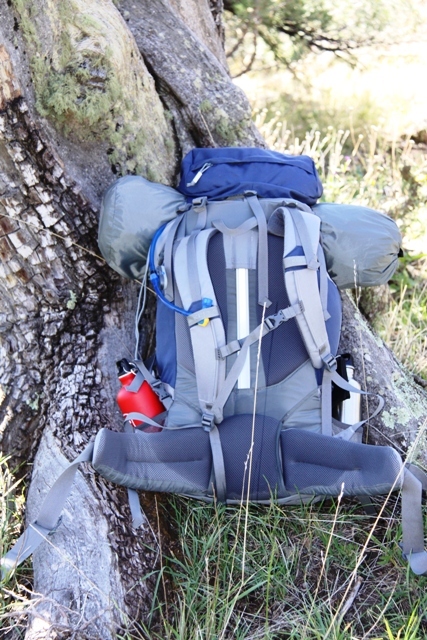 The multiple pockets on other packs allow experienced hikers to organize the gear for easy access yet can confuse and overwhelm beginning hikers. The three storage compartments of the Pawnee 3300 are simple and effective while providing ample storage room for any overnight hike or all-day alpine assault with its 3300 cubic inches of storage. Of all the features to look for when considering a new backpack, the most important feature, however is comfort. It is absolutely essential that hikers find a pack which fits their anatomy well and distributes weight without causing pain. A pack that does not fit well can cause serious back, neck, and shoulder injuries. The Pawnee 3300 distributes weight down the back with the aluminum stay and into the hips which are secured tightly with the adjustable hip belt. Kelty features their reliable Scherer Cinch on the hip belt which is a sturdy adjustable strap system that allows the pack to fit nearly any body structure like a glove. Pawnee 3300 on Continental Divide trail in New Mexico. The Pawnee 3300 was recently tested by FreshAirJunkie for use in search and rescue missions. Members of search and rescue teams look for features in packs that most hikers look for including durability, afford ability, versatility, and comfort. There are some unique features that search and rescue teams look for in packs including coloration, easy access, and quick packing/unpacking. Pawnee is designed with water tube exit at top of pack. Appearance should be one of the least important criteria for selecting gear; however it is a good rule of thumb to use gear which is easily noticeable from a distance when venturing into remote and precarious environments. Members of search and rescue teams often cover vast a distances in remote areas during missions and must coordinate operations between various search parties and aerial assistance. Members of S&R teams often wear brightly colored uniforms such as hunter’s orange or red and prefer their gear to be just as easily recognizable. The Russet (red/orange) Pawnee 3300 is therefore ideal for members of the search and rescue teams. Our Night Sky Pawnee 3300 would simply use a bright red, orange, or yellow rain cover if and when the pack is set down on a ridge or as a search-point reference to be seen at a distance. Search and Rescue team members own a wide array of gear for whatever each mission may warrant. Team members must often pack their gear quickly and efficiently at a moment’s notice. Mesh pockets on both sides. Pawnee offers many lash points for external gear. The simple 3 compartment system of the Pawnee 3300 allows team members to pack all of the gear necessary for any type of mission. The main compartment can hold gear ranging from ropes to blankets. 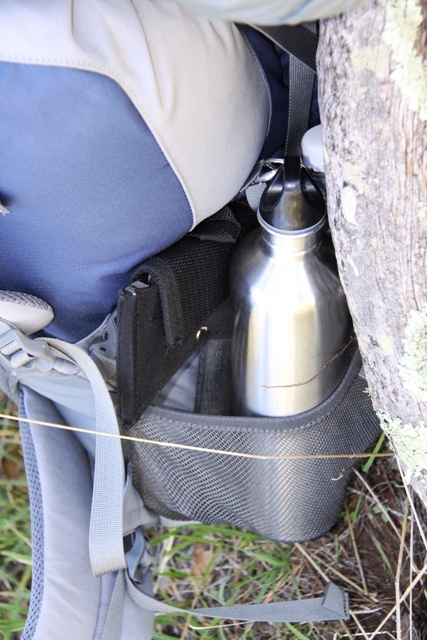 The front compartment provides easy access for food, knives, or flashlights. The top loading compartment provides easy access for to a first aid kit for any EMT in the field. Overall, the Kelty Pawnee 3300 is a solid backpack for any hiker regardless of their experience or needs. The pack offers ample of storage with easy access. The aluminum stay, HDPE, and breathable mesh padding provide the hiker with a comfortable hiking experience suitable for any terrain. The Sherer Cinch straps allow the weight to be distributed evenly and adjust to any body type. The Pawnee 3300 has been tested in harsh climates by hikers and rescue professionals and it offered good durability. The affordable price should place this at the top of hiker’s shopping list.